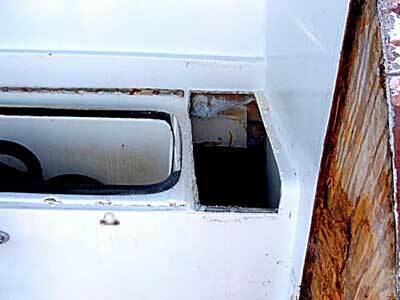 Freezer well with freezer plate removed. The unit was not operational. 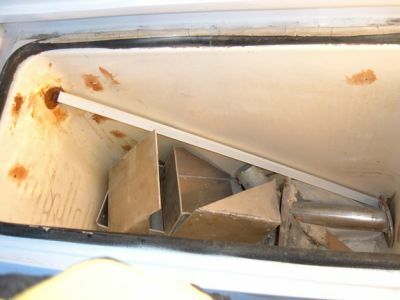 The interior of the cockpit/bait freezer needs to be refinished. Once it has been refinished, we will install the Dometic freezer plate that will allow us to use this box as a freezer or chiller. Right now it is being used for storage. 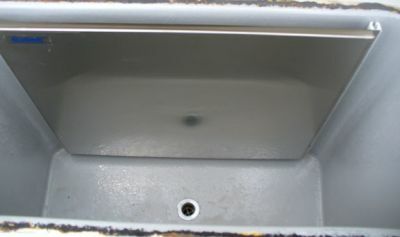 The interior of the freezer has been painted with an epoxy paint and the freezer plate has been fitted. Note that there is more than a 1/2" space on the backside of the plate. We were informed that this space can improve performance by almost 20%. We still have to install a gasket for the lid.